Apple is apparently working on a new hardware product dedicated to its iBeacon location-sensing technology. As spotted by Securifi and reported by TUAW, Apple has filed an application with the Federal Communications Commission (FCC) for the certification of a device called "Apple iBeacon" with the model number A1573. 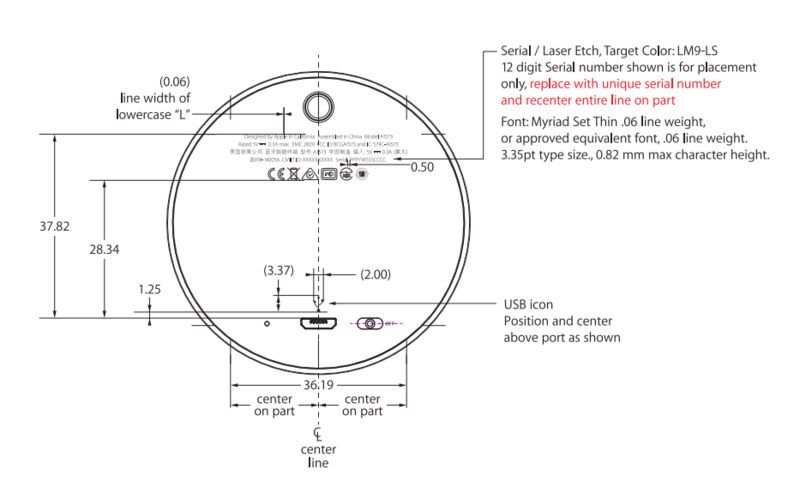 A diagram accompanying the FCC application, shown above with dimensions expressed in millimeters, suggests by extrapolation that the product is a circular USB-connected device with a diameter of about 2.5 inches. The document for the application is available to view on Scribd, courtesy of AppleInsider: If you can't see the document above, please click here. The document shows some key data gathered from a series of tests performed on the device by Audix Technology in China from late April to mid-May of this year, confirming that Apple's iBeacon works on Bluetooth Low Energy (BLE). The device is the first Apple-designed product dedicated to iBeacon. 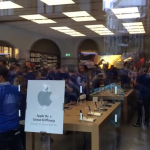 Since Apple launched the technology last year, companies, including Apple itself, has had to use hardware beacons made by third-party manufacturers. It's yet unknown how Apple intends to use the Apple iBeacon with regard to its other products. It's possible that the device will work with Apple's HomeKit "smart home" platform or even with the long-rumored BLE-compatible "iWatch."